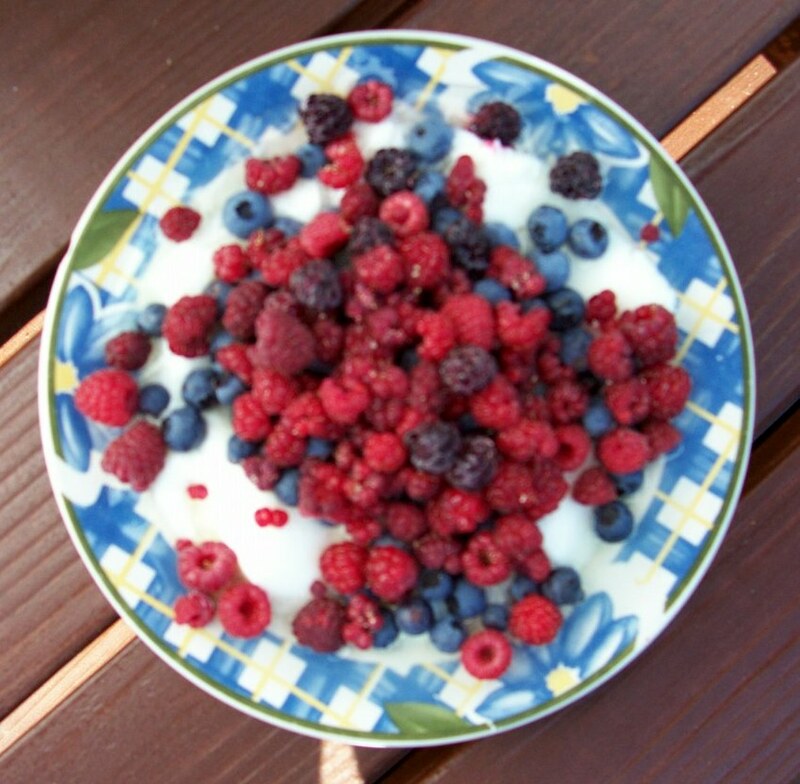 Fresh-picked raspberries, blueberries and marionberries over homemade yogurt: It’s the ultimate anti-oxidant and intestinal flora health combo! This entry was posted in Uncategorized and tagged diet. Bookmark the permalink.